Father God is indeed great! After three years of time off , the Company I have worked with ,recalled my services to work with them again. T’was a glorious moment in April 1997 ! Saipem [Oil Pipeline Company] had offered me a job assignment in Azerbaijan a country known to be where the Ark of Noah landed , (supposedly in the Mt Ararat in the Armenian border). 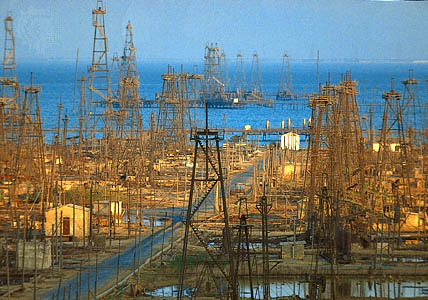 It was a state in the former Soviet Union and was the world’s number 1 Oil producing field at the turn of the 20th century. Oil derricks were sprouting everywhere! Perhaps John Rockefeller had gotten his wealth from there. It was also a source of the best Persian carpets in the world. Yes, indeed it was a blessing to have been in that perfect peaceful place. Oh how wonderful to have traveled again! I enjoyed the plane ride, saw new places and met new people. It was very interesting but most of all, truly rewarding. 3 years back, in 1994, I resigned from the same Company I had been with since 1987 in order to do some community service in my town , “pro bono”, “gratis”. 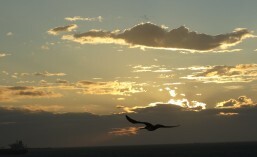 It was a selfless experience which, interestingly, had brought some sense of fulfillment and heavenly peace. I was happy! The trip to Azerbaijan was of a Divine Providence, I know. I could only be thankful for the love He always gives. He is great! This entry was posted in True Life Stories and tagged anecdote, anecdotes, attention, Bible, blessing, breakfast, character, chicken soup, childhood, children, Christ, daily bread, daily prayer, dawn, friendship, God, goodness, happiness, heart, heaven, human-rights, inspirational, inspirational messages, inspirational stories, inspiring, inspiring stories, Jesus, kindness, life, love, meditation, miracle, morning prayer, motivational stories, nature, offshore life, politics, prayer, Saipem, sharing, simple life, spirit, spiritual, travel, trust, vacation, wasted wisdom, wisdom, worship. Bookmark the permalink.